A Swedish Jewel Mystery Solved! 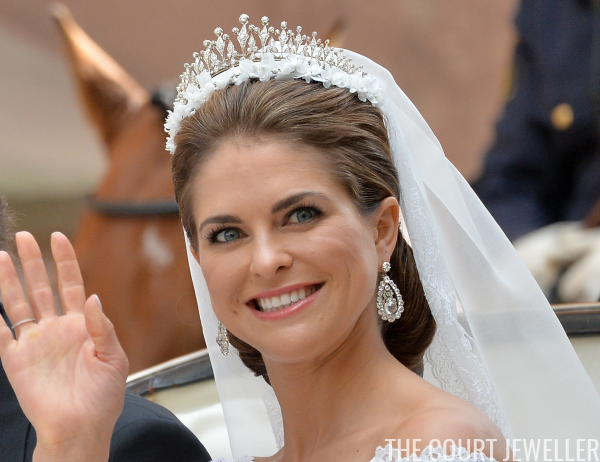 There are lots of unsolved mysteries surrounding the provenance of Sweden's Modern Fringe Tiara: where's it from? Is it really modern, or is it a century old? Did it have a royal or aristocratic owner before the Bernadottes? But this weekend, one of my lovely Twitter pals helped to answer one particular question: who exactly owns the tiara. 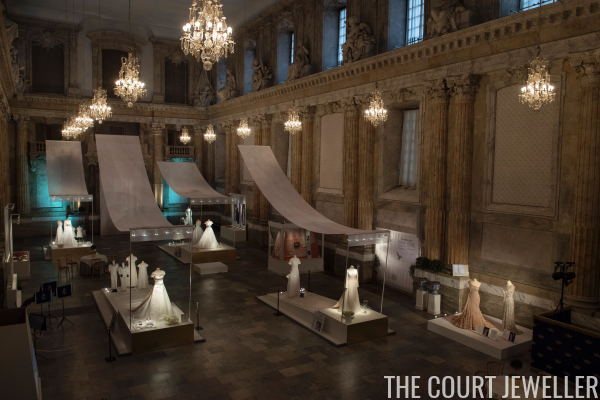 Five Swedish royal wedding ensembles -- Queen Silvia's, Crown Princess Victoria's, Princess Madeleine's, Princess Sofia's, and Princess Lilian's -- are currently on display at the Royal Palace in Stockholm. One of my wonderful Twitter followers, @Hovikirjeenvaih, visited the exhibition recently and shared some very interesting information from the official exhibition guide. The exhibition guide features photographs of each of the four bridal tiaras, along with information. 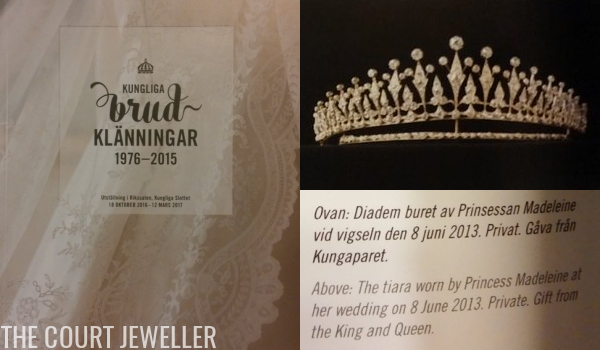 Above, you see that the guide clearly states that King Carl XVI Gustaf and Queen Silvia gave the Modern Fringe Tiara to Madeleine at some point as a present. We hadn't seen anyone but Madeleine wear the tiara for about a decade, but it's good to have confirmation that she does personally own the tiara now! We can definitely expect to continue to see her wear it for many years to come.